Powerful aftershocks have continued to rattle southern Mexico in the week since the devastating 8.1 quake that killed at least 96 people, leading residents to sleep outdoors and remain fearful of more building collapses. The most recent aftershock measured 5.0, striking Wednesday at 2:30 p.m. Pacific Time. Its location was described as offshore in the Gulf of Tehuantepec near the coast of Chiapas and Oaxaca, about 33 miles south of San Mateo del Mar. Last Thursday, a temblor measuring 8.1 hit offshore from the Chiapas region near the Guatemala border, toppling buildings, knocking out power and killing at least 96 people. The Oaxaca and Chiapas states have experienced as many as 800 aftershocks of various sizes since last week's massive temblor. The U.S. Geological Survey counted nearly 60 with a magnitude of 4.5 or greater. A 5.2 quake was also measured in the same area Tuesday night and one of a similar size hit early Sunday. 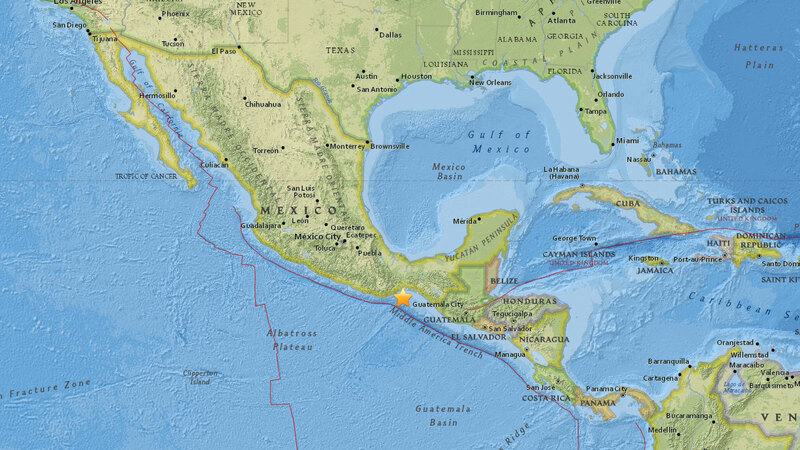 A USGS map shows a cluster of aftershocks measuring 4.0 or greater that have hit Mexico's Chiapas region on Tuesday and Wednesday. Many people continue to sleep outside in those regions, fearful of more collapses as the strong aftershocks continued to rattle the area. About 5,000 homes in Chiapas were destroyed by last week's quake, and Oaxaca Gov. Alejandro Murat said about 11,000 homes were damaged or destroyed in Oaxaca.